My name is Corinne Page. 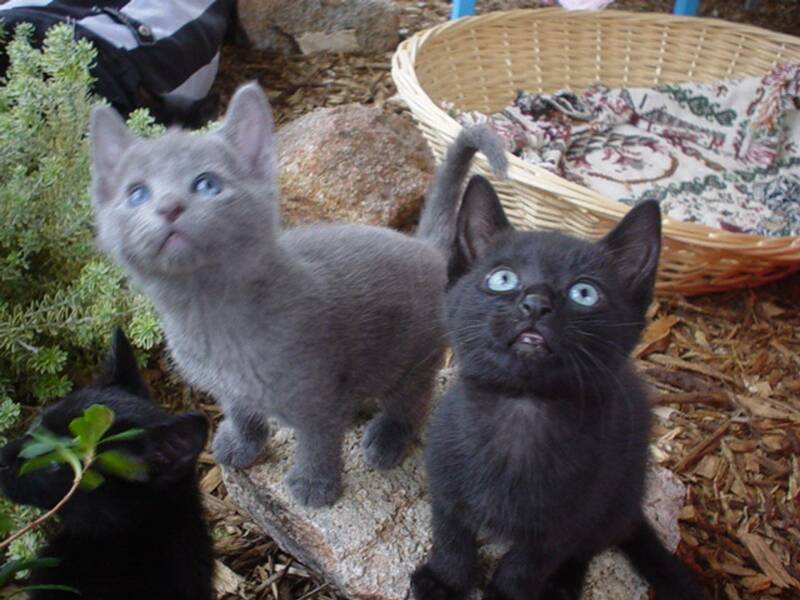 I am a registered breeder of purebred pedigree Russian Blue and Russian Black kittens based in Rockingham, 45km south of Perth, Western Australia. I am registered with COAWA (affiliated to ACF) and am a Rockingham Council Approved Breeder, which includes inspections by the Ranger. Soon to be home to the very first genuine pedigree Nebelungs ever imported into Australia by a breeder - more information coming. My cats and kittens live in my home as much loved pets and are socialised with family members in a clean, safe, spacious environment. They also have permanent access via a catflap to outdoor runs and enclosed gardens. Russians are intelligent cats and are devoted to their owner but may be shy with strangers. They often learn to play 'fetch' and love human companionship. Russians are medium/large muscular cats with long body, legs and tail - boys are usually bigger than girls. They have a regal, elegant look. 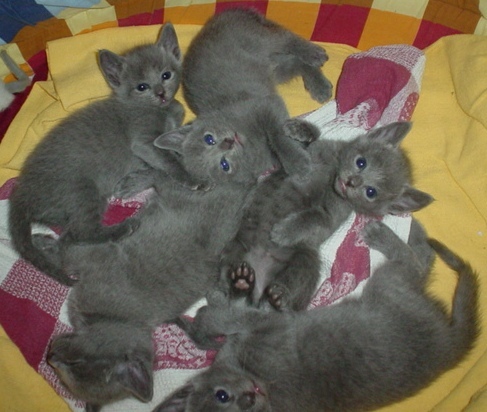 Kittens have a fluffy coat which in maturity becomes a short plush double coat; the blue coat has a silver sheen and the black coat is glossy. 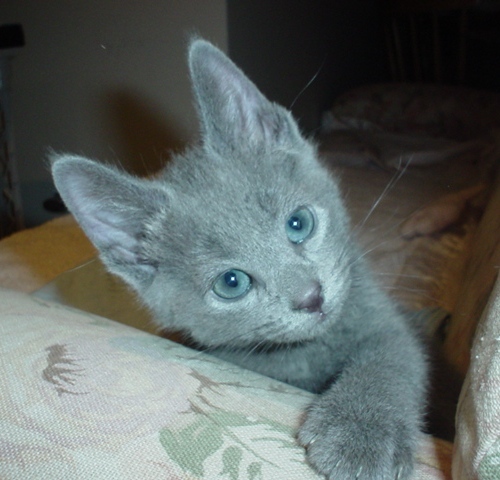 Australian Russians have large upright ears, whisker pads are distinctly prominent, profile is straight, chin strong, and the eyes are almond shaped and gradually become green (they are blue in kittens). Purebred Russians come in 3 separate shorthair solid colours - blue, and the rarer black or white. 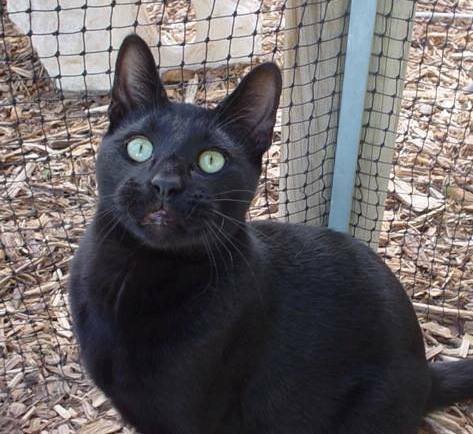 No other colours or patterns are recognised or permitted by the official national cat registering bodies in Australia, and no outcrosses are allowed.